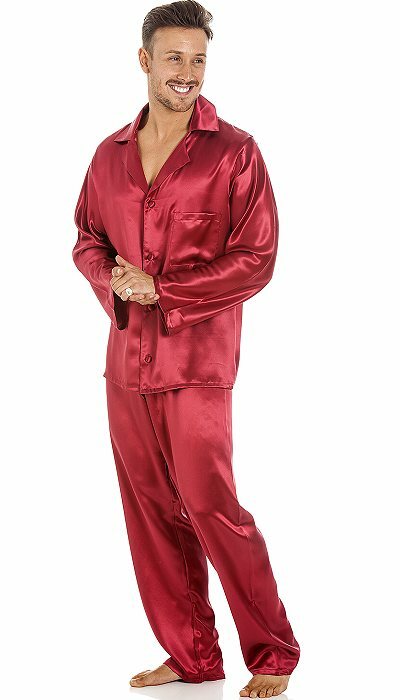 Mens pure silk satin pyjama jacket traditionally styled with a single breast pocket and revers collar. Choose from black, navy, cranberry, pale blue or oyster as standard. Other colours can be supplied to special order, please contact us for details. Jacket and trousers are sold separately so you can choose the appropriate size for each. See below for matching trousers. 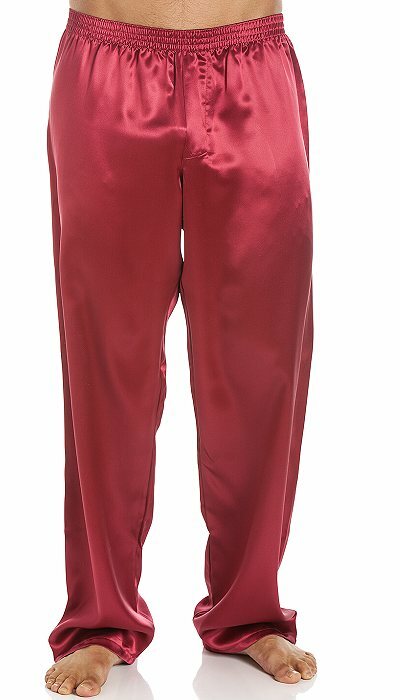 Pyjama trouser with elasticated waist band, and fly front opening. Wear on their own or with a Jacket, T-shirt or singlet. Inside leg approx 31 inches, 79 cm. Other colours or lengths can be supplied to special order, please contact us for details.